You know how everyone tells us to save money early and often? For most of us, finding easy ways to save money feels like next to nearly impossible because… hello! Life. Because bills and debt and babies and fur babies and vacations and brunch. Oh, brunch. 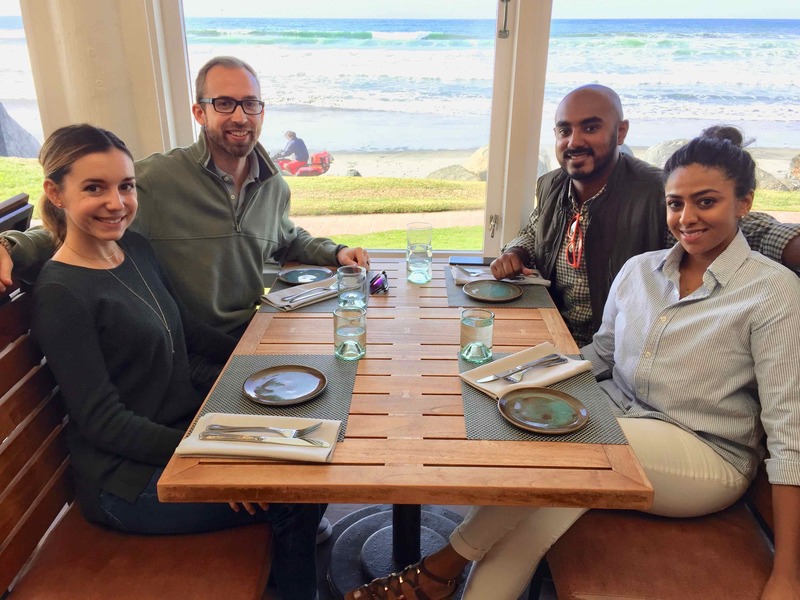 You know the brunch game is strong when the freaking ocean is right by your table! @ Jake’s Del Mar. All of our day-to-day can make it hard to come up with easy ways to save money. According to CNBC, 69% of Americans have less than $1,000 in their savings accounts. Millennials aren’t doing much better, either. Seventy-two percent of young millennials–ages 18-24–have less than $1,000 and 67% of older millennials–ages 25-34–have less than $1,000 in savings. These statistics make me want to gouge my eyes out. But I’ll save my eyes and instead, I’d like to share six easy ways to save money as a millennial. Whether you are saving for your first oh sh!t fund (the $1,000 emergency fund every millennial must have), or saving for a vacation or new car, these easy ways to save money should help you implement monthly saving habits. Track your income and expenses, damnit! First and foremost, if you aren’t tracking your income and expenses on a monthly basis, how the hell are you saving money? You pay bills, make a couple trips to Chipotle, and load up your Amazon cart, and as a result, your checking account starts to look like Grandma’s old cellar. Dusty, lifeless, and a bit disturbing. 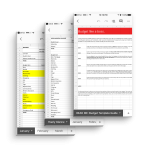 An easy way to save money is to start by tracking your income and expenses. Start with pen and paper and write down everything. Generally speaking, that includes your monthly paychecks, bills, debt, and expenses like shopping and going out to eat. Even better, grab a white board and stick it on your fridge to force yourself to look at your monthly figures. 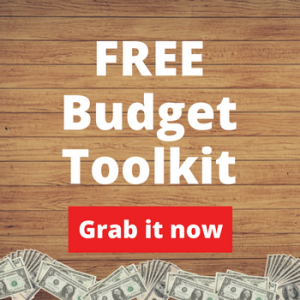 Seeing the numbers will help you consistently under spend and save more. Have you had the same savings account with the same bank since you were nine? Yup, I did, too. Until I started looking into banking fees and interest rates. A member of the Debt Free Millennials Facebook Group researched this and as a result, they reported that switching savings accounts with Bank of America helped increase their APY from .01% to .03% and closing a checking account saved them a $12 monthly fee. Are you maximizing the interest that you are earning in your savings or money market accounts? How much are your monthly banking fees? Are you penalized for withdrawing cash from other ATMs? Checking other banking rates on an annual basis, both with local and national branches, will most likely ensure you’re getting the best rates. First, give your item a good clean. No one wants to look at a dusty picture frame, it’s unappealing. Even a paper towel and some cleaner will do wonders. Second, take photos in a decluttered environment, preferrably with nothing in the background against a blank wall. Make sure the lighting is bright and white to give your item the best appearance. See how much more appealing the item gets when you add a description? Fourth, write it once and list it twice (or 4x). I literally take the same image and description and post it in multiple buy/sell apps to maximize my exposure. Eventually, I’ll start to see a trend as to which apps perform the best and stick to posting in the top three. Lastly, if after a few days you don’t receive any inquiries, try lowering the price by a few dollars. By editing your description or price, you’ll update the post which puts it back towards the top of the search list. There’s no better way to pass idle time than with a quick survey. I’ve taken online surveys for years, starting with e-Rewards but I’ve since moved on to other platforms that have quick payout options. 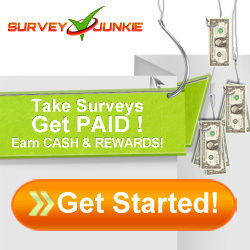 Survey Junkie connects you to big market research firms to take surveys from cars to financial services to grocery shopping. I even took a survey on Starbucks’ new blonde espresso (anyone try this yet?). Qualifying surveys are awarded points which can be redeemed for cash. I’ve been on this platform just a few weeks and already have close to $20 and spend about 20 minutes per day taking a survey. Minimum $10 to cash out via PayPal or e-gift cards. Survey Rewardz is similar to Survey Junkie, except there’s no point structure. Surveys are assigned dollar amounts based on how well they match your profile. You’re also scored on how well you take the survey. If you’re randomly selecting answers, the platform takes note and gives you a low score, and ultimately disqualifies you from future surveys. Aim for a score of 100 and you’ll see plenty of surveys coming your way. Now, here’s the caveat. Taking online surveys more than likely will not make you hundreds of dollars per month. Think of online survey sites as easy ways to save money for coffee or beer outings. Before I get into this, let me be clear. If you have credit card debt, this option is not for you! If you consistently carry a balance on your card, this option is not for you! Ahem. Now then. The cash back credit card. If you are diligent in paying your credit card in full every month, then you may want to consider a cash back credit card. These cards usually hand out quarterly incentives like 5% cash back on groceries or simply by shopping at Wal-Mart. Cash back cards create easy ways to save money on purchases you already make every month. Consequently, I take advantage of the Chase Freedom credit card. No annual membership fees, great online interface, 1% unlimited cash back on all purchases, and 5% cash back on quarterly bonus categories. 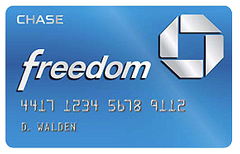 Is Chase Freedom right for you? Do you put at least $150 per month on your credit card? Is your credit card used for everyday purchases like groceries, utilities or shopping? Do you pay off your credit card every single month and carry a ZERO balance from the previous month? Are occasional discounts on things you already buy something you would enjoy? If you answered yes to the above, then Chase Freedom might be your card! 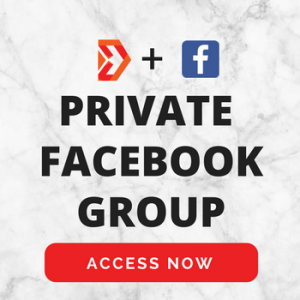 Check out more info here. Take a look at Certificates of Deposit for easy ways to save money for your short to intermediate savings goals. Short to intermediate term savings goals, like purchasing a car or putting a down payment on a house, usually don’t make a whole lot of interest when the money is in a savings account that makes .01%, therefore CDs are a better alternative. According to Investopedia, a Certificate of Deposit (CD) is a savings certificate with a fixed maturity date with a fixed interest rate. The rule is that you aren’t allowed to withdraw money from a CD until it reaches its maturity date. There are a ton of CD options out there ranging from three months to 10 years. Ultimately, you’ll want to look for a CD that has a high interest rate and a maturity date that aligns with your money goals. Let’s say you know you want to buy a new car in the next year. You could identify a CD that has a one year maturity date with an interest rate of 3%. If you stash $5,000 into this account, you’d make a bit more than with a traditional savings account. I think I’ll take the extra $150, wouldn’t you? Certificates of deposit would most likely be a terrible way to invest in your retirement, but for shorter goals like purchasing a car or saving for a house, I see this as a very safe (risk-averse) way to making some extra savings. In summary, these easy ways to save money have worked well for me, and I hope you find them useful, too. If you had to choose, which method would you implement? How quickly can it be done? I’d love for you to share in the comments below on how saving money each month can add up for you!